As we welcome you to the start of the new season, we also welcome two new musicians to the orchestra. Jenna Breen, Second Horn, and Matthew Decker, Assistant Principal Timpani, will take up their new posts at the beginning of the 2016–2017 season — welcome to Seattle! Australian horn player Jenna Breen comes to the Seattle Symphony from the Melbourne Symphony Orchestra, where she was contracted as tutti horn from 2012–2014 before winning the permanent position in 2014. In the same year she was awarded a Winston Churchill Memorial Trust Fellowship to study with some of the best low horn players across the globe, visiting Berlin, Chicago, London, Los Angeles, New York and Philadelphia. Breen had previously studied with Peter Luff at the Queensland Conservatorium of Music on an Academic Scholarship, and also received the Kurt Blumenthal Music Scholarship and the Yvonne Haysom Women in Music Bursary. Breen received her Bachelor of Music degree at the Queensland Conservatorium and was awarded a scholarship at the Australian National Academy of Music. Prior to joining the Seattle Symphony, Matthew Decker spent two seasons as Assistant Principal Percussionist of the North Carolina Symphony. He was also a fellow of the New World Symphony during the 2013–2014 season. He made his solo debut in 2009 with Battle Creek Symphony in Michigan, performing Russell Peck’s triple percussion concerto The Glory and the Grandeur. Decker was a 2011 fellow at the Tanglewood Music Center and also spent two summers at the Music Academy of the West and Round Top Festival. He attended the Eastern Music Festival (EMF) as a student and is now on faculty there during the summer. Decker received his Bachelor of Music degree from Chicago College of the Performing Arts of Roosevelt University in 2011 and his Master of Music degree in Orchestral Performance from the Manhattan School of Music. 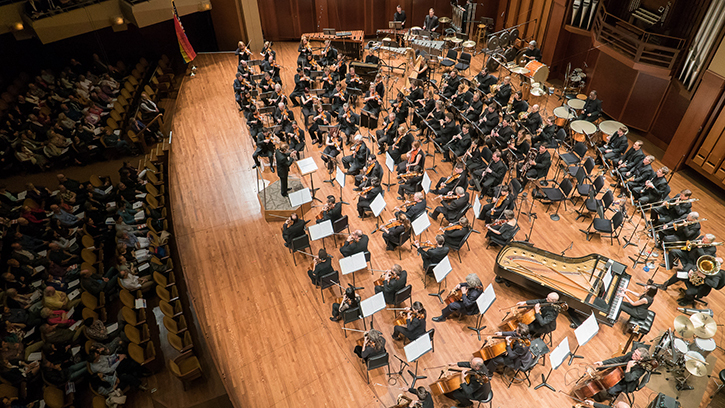 Through the caring support of our donor family, the Seattle Symphony is able to attract and retain world-class musicians like Jenna and Matthew. Join the community of supporters who make our music possible with your donation today.